Sure, Tony Stark changes his Iron Man suit roughly every other minute in the Marvel Cinematic Universe. But a new batch of Spider-Man: Homecoming figures seems to confirm that his latest one is a bit more of a radical departure from his usual cinematic looks. 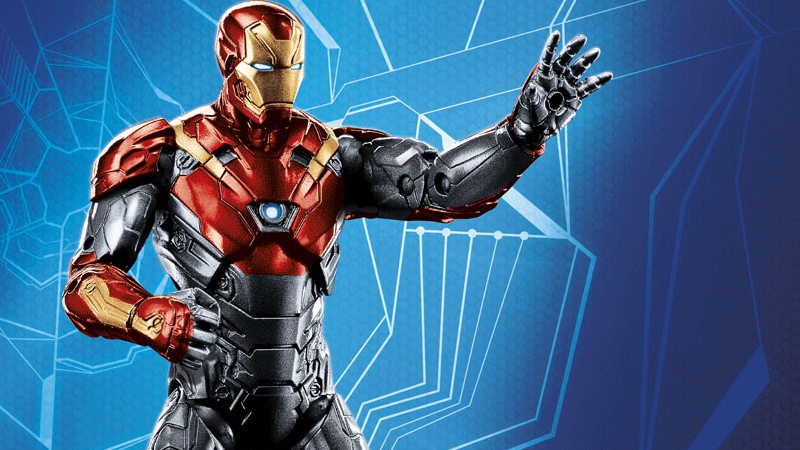 The latest Homecoming toy reveal from Hasbro is for its line of six-inch Marvel Legends action figures. The Vulture—complete with gigantic “build-a-figure” wings that require you to buy every other figure in his wave to get all the pieces—is something we’ve seen before, but now we know he’ll now be joined by six-inch versions of Spider-Man with his web-wings attached to his suit, and of the goofy-looking homemade suit Peter made before Tony designed his threads for Civil War. Yup, still looks goofy as hell. But the most interesting toy Hasbro revealed today is a two-pack of figures for the movie featuring Spider-Man—who will come with an alternate head styled after Tom Holland’s appearance in the movie—and Iron Man, revealing that Tony will be wearing a new set of armor that features sections painted predominantly black. It looks weird, but at the same time, feels like a clear homage to the first suit Iron Man wore in the Ultimate Marvel universe, which is a pretty neat touch. These Spider-Man: Homecoming figures will be out in the spring, with the two-pack of Peter and Tony expected to hit shelves sometime in the fall.